This modern shaped case is equipped with every necessary tool for opening of locked doors. 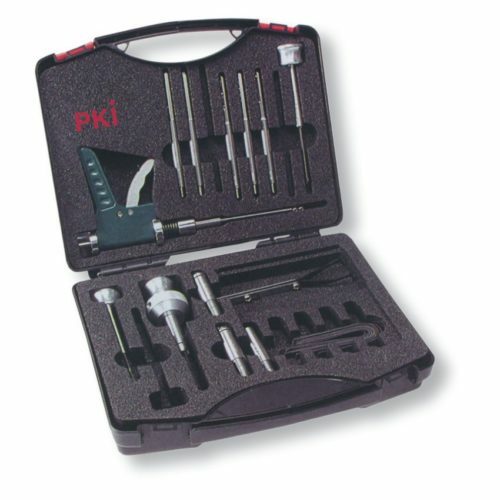 With the PKI 9535 we have combined our long lasting experience in this field together with “State-of-the-Art” tools for a professional and quick opening of every kind of lock. It is a must for any government department, like police forces, special tasks forces and intelligence services to obtain immediate access to rooms and buildings whenever closed and locked doors prevent the direct entrance. The content of the PKI 9535 has been determined by us in close co-operation with our customers and according to their needs. Special configurations, of course, can be effected whenever our customer is asking for. Contact us and inform us of your special requirements.